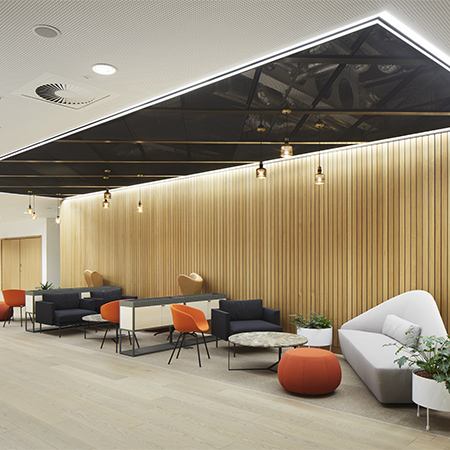 Armstrong Ceiling Solutions have supplied their B-L302 jet black custom-mesh metal planks for the new modern HSBC UK HQ in central Birmingham. 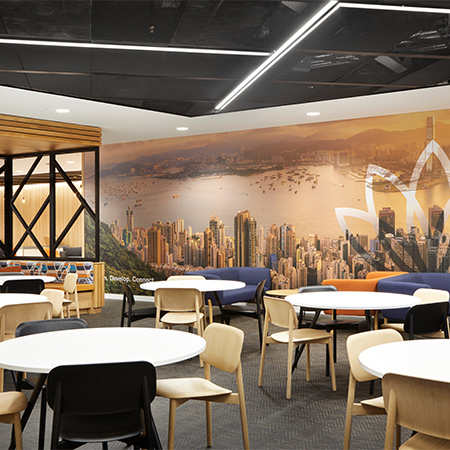 The planks were complemented by their Bandraster grid and Axiom blind box on levels 1 and 2 of the university reception area, marketplace canteen, and break-out areas of the building. 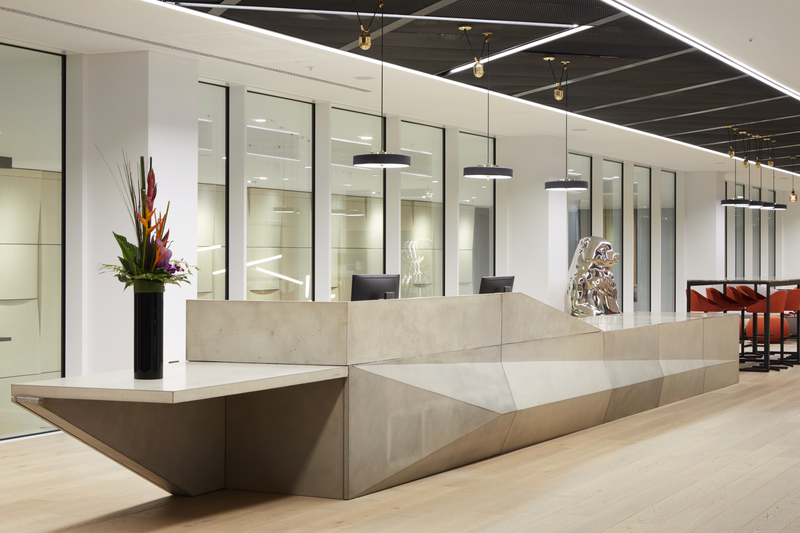 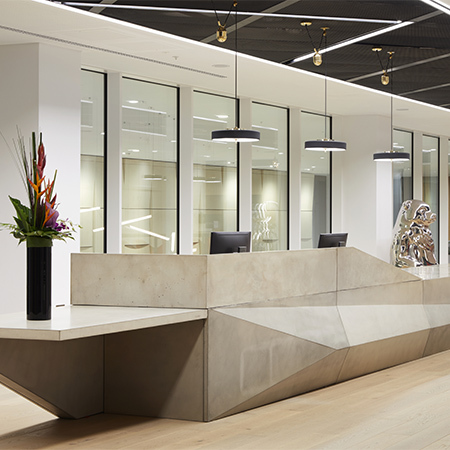 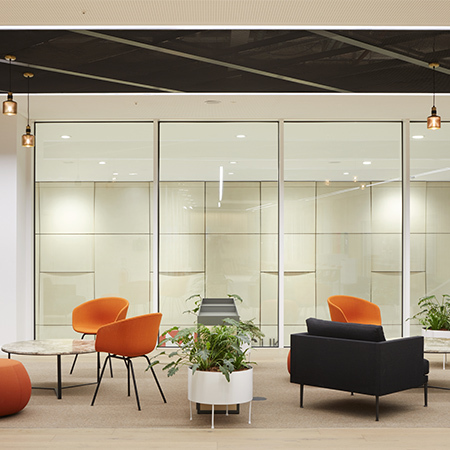 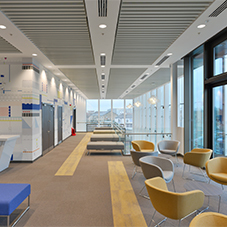 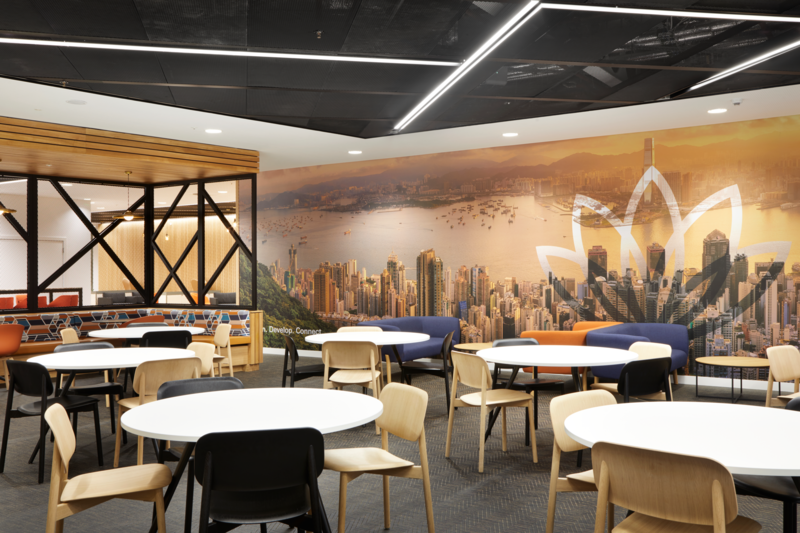 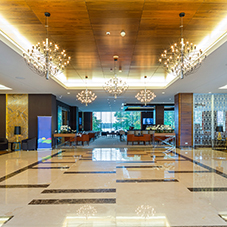 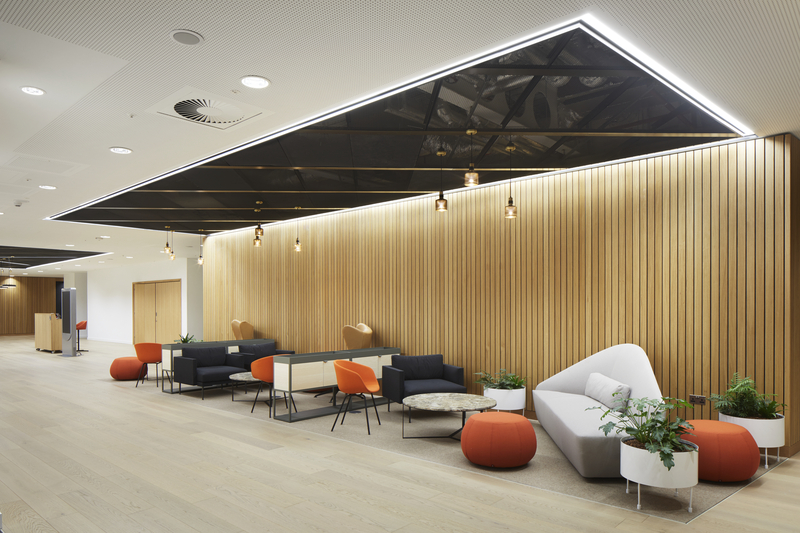 The Armstrong systems form the main feature ceiling in the reception area and the key break-out and collaboration areas and comprise 283m2 of 1210mm x 687mm metal planks with 71% open mesh area along with 193 metres of 100mm Bandraster unslotted exposed suspension grid and 272 metres of 100mm Axiom Blind Box transitions, both also in jet black (RAL 9005). 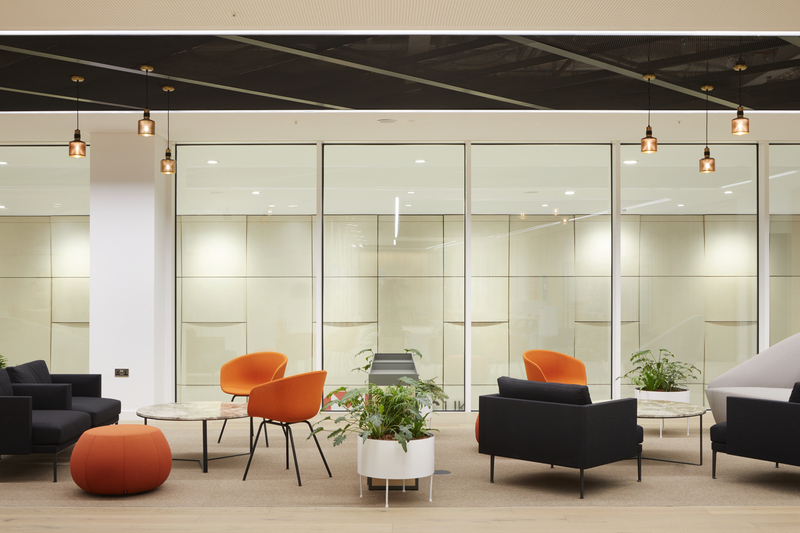 They were installed for main contractor GallifordTry over two months by a team of 10 from specialist sub-contractor Taylor Hart, a member of Armstrong’s national network of approved Omega installers.